بني فندق Cradle Forest Inn في ، وهو يعتبر ميزة مُضافة للمدينة و خيار ذكي للمسافرين. يقع الفندق على بعد من مركز المدينة، ويؤمن الوصول إلى أهم مراكز المدينة. يشكل هذا الفندق ملاذاَ مريحاً للاسترخاء ويمنح زواره فرصة للاستجمام والتجدد، وهو يقع على بعد خطوات من المعالم السياحية الكثيرة للمدينة. يعمل Cradle Forest Inn على ضمان إقامة مريحة لضيوفه من خلال خدماته الممتازة وحسن ضيافته. يمكن الاستمتاع بمجموعة من الخدمات على أعلى المستويات في الفندق كمثل مدفأة, واي فاي في المناطق العامة, صف السيارات, مطعم, جولات. بالإضافة لهذا، تتضمن كل غرف الضيوف مجموعة واسعة من وسائل الراحة . بعض الغرف توفر حتى تلفزيون بشاشة مسطحة, حوض الاسترخاء, غرف لغير المدخنين, تدفئة, مكتب لإرضاء أكثر الضيوف تطلبًا. يقدم الفندق خدمات رائعة كمثل حديقة لمساعدتك على الاسترخاء بعد نهار طويل من النشاط والتجوال في المدينة. مهما كانت أسبابك لزيارة المدينة، فإن Cradle Forest Inn هو الخيار الأفضل لإقامة مثيرة وممتعة. 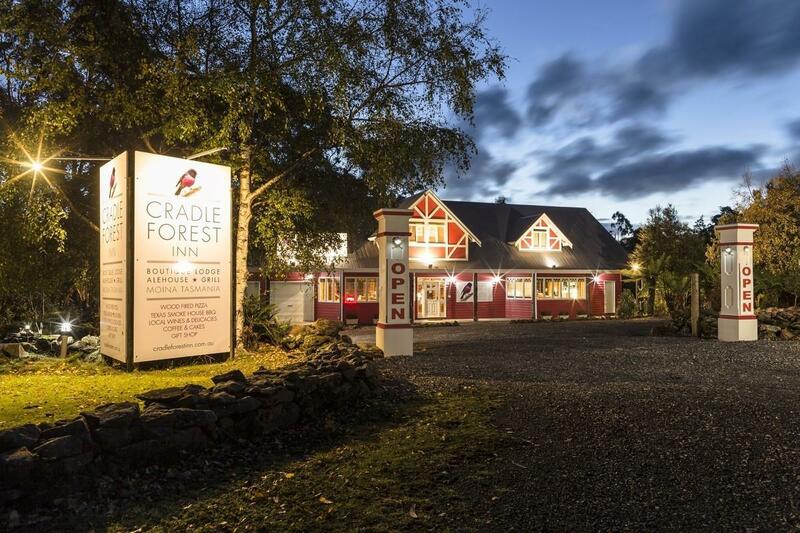 I had a wonderful stay at Cradle Forest Inn. I stayed in a lovely little cabin and was able to unplug and relax. 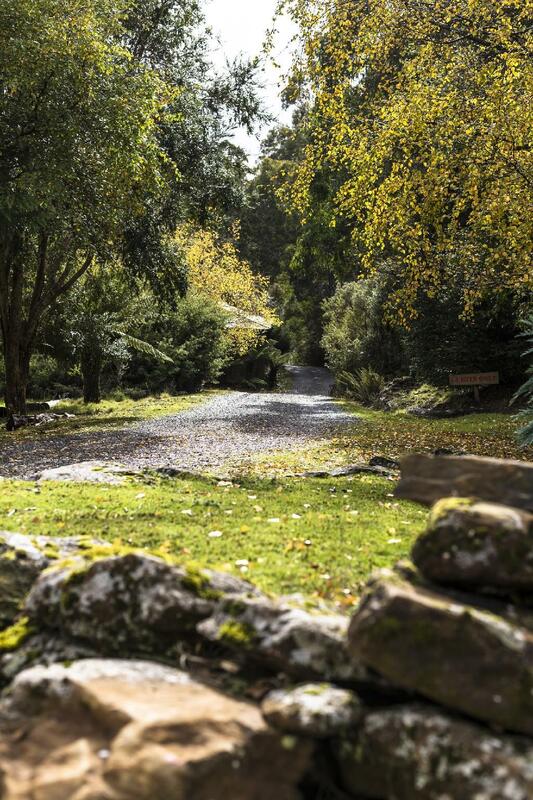 The Inn is situated in a fantastic area it was a short drive to Cradle Mountain National Park. It also allowed me to take. A drive up from Sheffield to Burnie and enjoy all they had to offer. They include continental breakfast though it is just a ready made one prepared inside your room, make your stay a feel like home. Offer specially for the mountain hikers who will leave the hotel early next morning very much convenience. The room was clean and tidy. The environment is relaxing and peaceful. You may see some wallabies playing during mid-night. Highly recommend the wooden fire pizza. The location is good and it was approximate 10-15 min drive to Cradle Mountain National Park. However, no wifi is provided and not all service providers have signal there. Do check with the owner if network is meant to you. When I booked this accomodation online I wasn't sure what I actually had booked, as it was difficult to find good & complete pictures. But it's really nice so just book it! 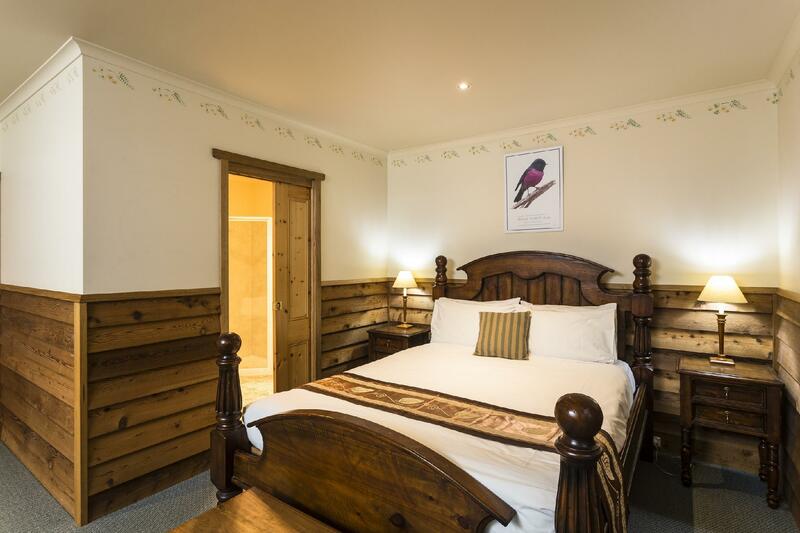 We got room 3 ( Platypus suite) which is 1 out of 4 cabin-style rooms under the same roof. Each have their own, secluded porch with seating, and ours looked at some bushes which gave us a great 'outdoor' feel. The room is very spacious with comfortable big bed, good heating (our room was even preheated when we arrived), spacious bathroom and complete kitchenette (which we did not use). They supply a continental breakfast basket with bread, spreads, fruit, juice, milk & cereals, and you can also enjoy just for $8 dollars a bacon &egg breakfast in the lodge. Also dinner there was very nice & cozy. Their firewood oven pizzas are huge, and they serve good wines & beers for a nice price. Staff is really great, we got very good hiking suggestions of-the-beaten-track. Really recommend this place to stay 2-3 nights! Danielle was an amazing host from the moment we arrived. From our check in to our meals, to recommending activities nearby, this was the perfect location. We went to Tasmazia, visited the Devils and did some short hikes and drives nearby. Our cottage was very comfortable and spacious. We enjoyed the privacy of this inn. The restaurant served amazing (the best, in my opinion) smoked pork loin!!! Great place to stay. We really enjoyed it. If you are looking for the chalet as you drive along the road, you won't find them. Look for the Tavern. Check in at the Tavern and they will direct you to your chalet. Spacious room, great shower and comfortable bed. What struck us as we first came into the establishment was the friendliness of the hosts, Matt & Bec. It was our 11 year anniversary and they made us feel really special with a note and wine. Whilst enjoying a vino on their back deck, Matt whilst preparing wood fire pizzas and gave us a taster of 9 hour smoked meat from their new smoker. If you are a fan of slow cooked smoked meat and wood fire pizza, this is for you. We did bring our own food as we knew we would be on long hikes each day. Plunger coffee and take out coffee cups were supplied to ensure we had our morning caffeine fix. 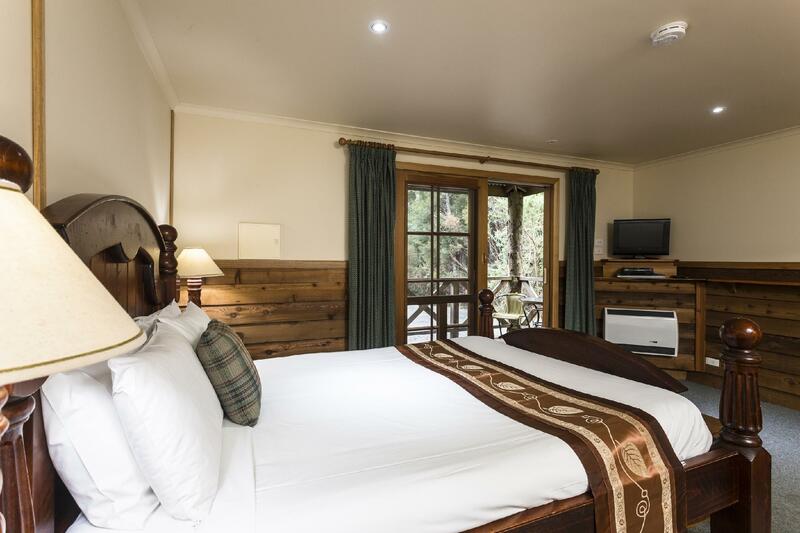 The chalet is charmingly country style and spacious. The large spa was super relaxing, especially after two days of long hikes. Bec and Matt were very welcoming and attentive to our needs. We would definitely go back and stay there. This is a little treasure, very reasonably priced - everything is - the rooms, the food, beer, wine and whisky. Because they are away from the centre of the Cradle Mountain hype - by 20 minutes drive - one feels they are away from tourism central. The rooms were well appointed and comfortable. The only negative - but a positive for us was that telstra still hasn't got its act together sufficiently to provide Moina with reliable telecommunications. So mobile phone contact in their tavern is mostly ok but can be variable in the rooms. We would go back and stay again for sure. Loved this place. Cozy log cabin in a lovely setting. Big wood fire in main lodge. Good food. No phone coverage or WiFi unless with Telstra but that wasn’t an issue for us. Close to Cradle mountain. 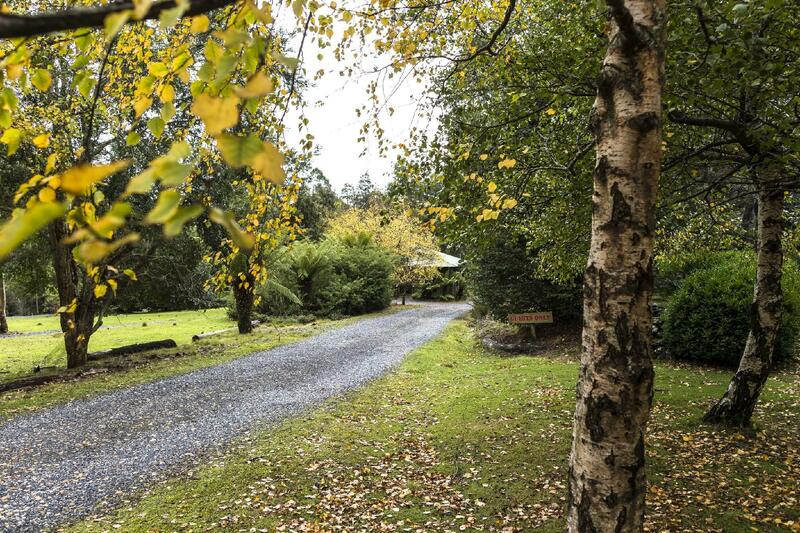 Nice place and close to Cradle Mountain, without the full cost of the nearest sites. Would benefit from wi-fi, but otherwise a perfectly comfortable stay. Quiet, restaurant has good reasonably priced meals, friendly staff, lots of wildlife, units are clean and comfortable. WE stayed in cottage no 8. It was fantastic stay and very close to cradle mountains. The cabins were in no way luxury. They were basic, probably fitted out in the 1980s. However our cabin was comfortable, sufficiently roomy and had good heating (needed even in February). The bed was a good size and comfortable, there were a sofa, dining table and chairs and kitchen area with sink, fridge, kettle and microwave. Service was hit and miss. One staff member was very friendly whilst another was very offhand and seemed to consider checking us in a nuisance. Dinner was better than expected considering reviews we'd read. The burger and chips were average but the pizzas were above average. However, they certainly didn't put themselves out over the included breakfast; four types of cereal, white bread and English muffins, oranges, apples, orange juice and apple juice, make your own tea and instant coffee. None of the cereals were gluten free although they were able to provide gluten free bread. They breakfast area was cold and they vacuumed it while we ate. 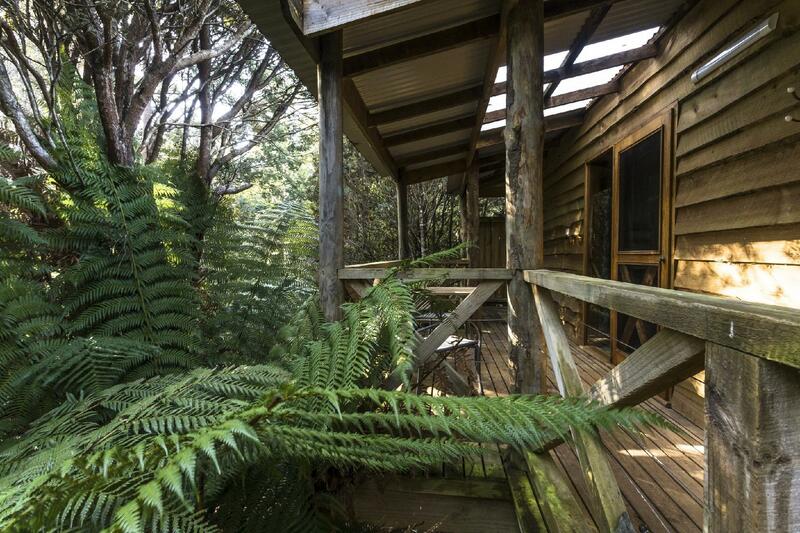 Our cabin named Pademelon was cute, relaxing and homely with the balcony facing the woods and a private lookout. However, the cabin and in particular, the carpet felt quite dusty. The restaurant food/meals were simple and ok, missing healthy options like salads. The location is about 15-20mins from the cradle mountain visitor centre - a workable distance after a long walk. The staff are very friendly & keen to help, making up for the dusty feel of the cabin and ordinary restaurant food. Not sure the cabin is worth the premium price but probably still a good option for cradle mountain activities. 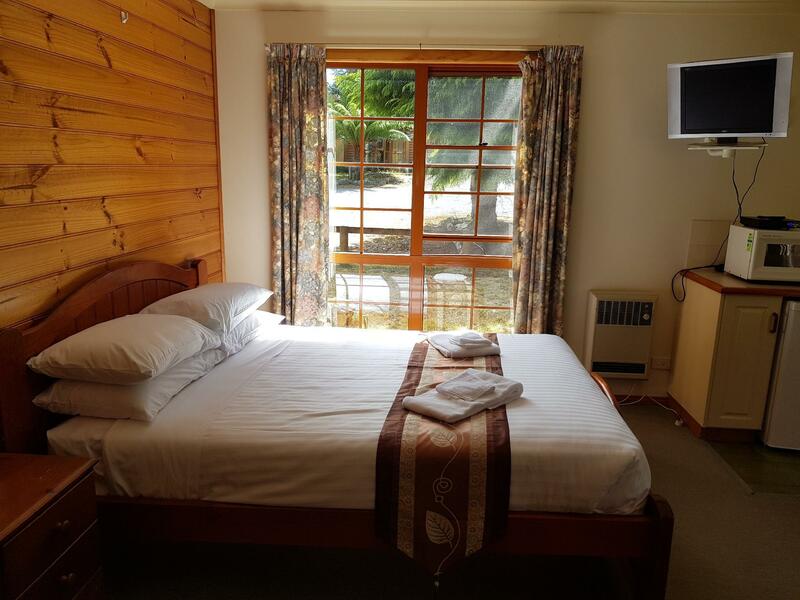 My friend and I found the accommodation very comfortable and clean, and excellent for travel back and forth from Cradle Mountain National Park. The check in and check out process was easy and staff friendly during this and also when we ate at the Tavern. Improvements could be made in what is provided in the breakfast basket and it was also not replenished for our second morning, which would have made us feel better for the value for money. The room is beautiful. The environment is nice and peaceful. It would be better if they have free wifi ther. We got lost on the way from Launceston to craddle mountain hence arrived the chalet closed to eight at night. When we parked our car at the entrance, a lady knocked our car window and asked if we had made our reservation. After our confirmed reply, she complained that we were late. She had been waiting for us since 6 :00pm and she said we were informed to come before 6:00pm. We were stunned as we didn't aware of such message during our reservation and we thought we might have missed it. So we apologise at once. During our registration, she kept on saying that she need to back home and sleep at eight as she need to get up at five in the morning. We kept on apologise. When asking if there was any food that we could buy from her, the answer is no although we did see cakes at a fridge. We understood that she was in a hurry hence told her that it was ok and we may buy our food somewhere. We were lucky that we brought two cans of soup in the morning as we failed to find any restaurant opened along the road to nearby town. We ate two cans of soup as supper that night. After we came back and checked our reservation, there is no message mentioned that we should arrive before 6:00 pm. When checking the advertisement at agoda, it says the reception open to 9:00 pm. I don't know who should be responsible for such miscommunication, but I would like to have an update of the service time upload to the box named "useful information" of the advertisement so that people can avoid the embarrassment we experienced. Thanks. the signage to the hotel is NOT clear, as the words Cradle chalet are very small! Upon going to reception, the lady at the reception was very impatient. I just simply asked her to repeat(as they don't hand u e keys on the spot), she answered me very rudely. She is also very scarastics when I asked why she is taking my credit card details again. We were told that an Internet cnnection was possible but each day when I enquired I was told that the connection wasn't working!! In the room there's a notice to say the towels will be changed every second day...not a big deal for us but if you say you are going to do something ,then do it or take the sign down...just like the Internet if you can't provide it just say so....don't say you can but then dont.The cabin was comfortable but is being overtaken by bush , this place is pretty run down and needs a gardener.I wouldn't stay there again. The signage that lead to the entrance was confusing! Instead of Cradle Chalet, it was written as Cradle Tavern, with the words Cradle Chalet in small print below. Had a hard time finding the accommodation and if not for our GPS, most likely we won't be able to find it. We reach around 5-6 and all the food options were closed and we ended up having to eat cup noodles that we brought for ourselves. This accommodation can served as a good rest point if you do not wish to drive all the way up to Cradle Mountain in one shot. 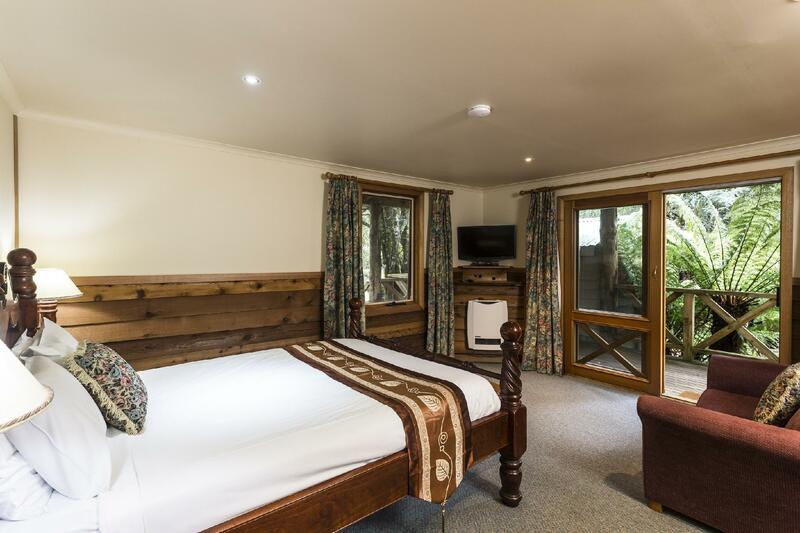 The accommodation is one hour drive away from the Visitor Centre in Cradle Mountain.